Monkey Go Happy - Stage 220 is another cute and exciting point and click escape game created by Pencil Kids. How can you resist helping the cute little monkey before you? 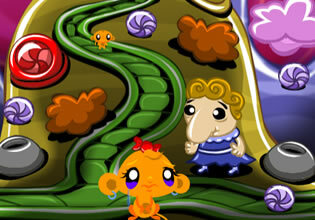 Surely you would want to help her escape from the mysterious and colorful world to make the "monkey go happy." The world of Monkey Go Happy is cute, colorful, and vibrant. But why is the adorable little monkey not happy? Is there something evil in this world that the monkey wants to escape? Is the monkey trying to find her long lost friend? Or maybe the she lost her banana somewhere along the way? Maybe it is all of the above? It may sound funny but it is indeed all of the above. There is a malevolent force that took the little monkey's friend and banana. After all, nothing is impossible in this one-of-a-kind world where the little monkey finds herself trapped in. She is not alone on her adventure to escape, there are other denizens of this world. Some may be willing to lend her a helping hand, others not so much. Help our little monkey friend figure out the puzzles and mysteries of this magical world so that she may find happiness and her friend. 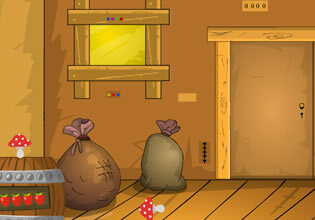 This is a point and click escape game of a little monkey on her quest to go happy.